It is easy to take free healthcare for granted, such as we have here in the UK. But one simple accident whilst on holiday abroad could set you back tens of thousands of pounds if you don’t have the right travel insurance cover. Have you ever read through your policy booklet and wondered why some of the levels of cover are so high? Well, as much as we hate to admit it, we’re prone to illness and injury. Any of these things can occur without warning and once outside the UK they also come at a price. For example, here in the UK a single MRI scan comes at a huge cost to the NHS – nearly £800 in fact. But we are lucky enough not to have to foot the bill as individuals. 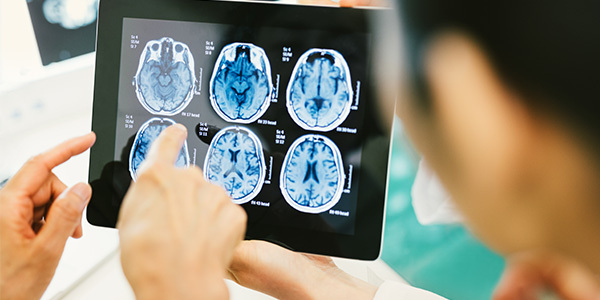 Although cheaper in other countries, the average cost of an MRI scan worldwide is still around £365, and not free to a travelling Brit in need of investigative treatment. The United States is known for its extortionate healthcare and even its own citizens are often left with a lifetime of medical bills if caught short without appropriate cover. Imagine then the potential financial impact of an unexpected problem with your health whilst on holiday. The average cost for a coronary bypass in the US is around £48,000, and that’s just the surgery. Add to that the initial doctor’s bills, a couple of scans, and then a 2 week stay plus any medication, and you could be looking at £150,000 minimum. According to the UK Foreign and Commonwealth Office (FCO), there was one recorded incident of someone needing emergency treatment for a stomach bug whilst in California and ended up with a £100,000 bill. It isn’t just in the United States that uninsured travellers can find themselves in serious financial difficulty. The same report from the FCO also referenced a fall in Spain that resulted in a broken hip and a bill for £15,000. Contrary to much misunderstanding, a European Health Insurance card will only give travellers access to state-provided healthcare and does not cover any repatriation or private medical treatment or costs, such as mountain rescue in ski resorts. Nor is it valid on cruises. To put things into perspective, the Association of British Insurers released statistics showing that travel insurance helps almost 4,000 people a week who need medical treatment abroad, with the average claim for medical expenses being more than £1,000. Collectively, insurers are paying out nearly £4 million per week in claims for medical treatment, and more people claim for medical treatment than for cancellation costs or lost and stolen possessions. So the lesson here is simple – travel insurance is worth its weight in gold when you look at the costs of medical care abroad. Getting the right cover is also paramount, especially where pre-existing conditions are concerned. We offer a range of policies with different types of medical cover to suit anyone and everyone. We tailor your travel insurance policy to meet your specific needs, to find out more just give us a call or get an online quote by clicking here.